How much fat do I need to create a suet cake? Generally speaking, 1/4 cup of fat will be enough to create a tasty suet cake treat the wild birds will love. You can use any increment above 1/4 cup as well, but that is a good starting point. From there you mix in bird seed, nuts, peanut butter, oats and more! 1/4 cup of fat would be the equivalent of filling your You Do It Suet® mold 1/4 of the way to the fill line. If you are looking to create a simple suet cake, you could use 1/4 cup fat and 1 cup of bird seed. Simple. Easy. Birds will LOVE it. My suet cake does not fit in my suet cage. 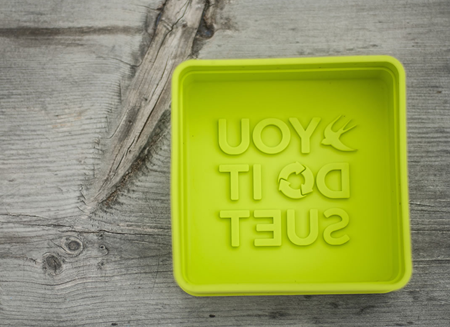 When using the You Do It Suet® mold you should only fill to the indented fill line that is located near the top of the mold. The top 1 inch of space is to give you room for mixing your fat and ingredients together. If you only fill to that indent then your suet cakes will fit into ANY suet cage with ease. I am vegetarian, can I still create tasty suet cakes for my chickens and wild birds? Yes! You can use a base of coconut oil or peanut butter instead of meat fat. Check out our Vegan Suet Cake Recipe. Check out our Peanut Butter Crunch Recipe. How can I deter squirrels from eating my suet cakes? You can add a dash of cayenne pepper when creating your suet cake. Squirrels do not like the taste and birds will not be deterred. 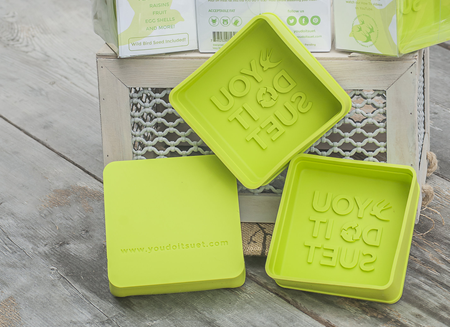 Should I keep my You Do It Suet® mold on the counter between meals? This is not recommended. You will want to place your filled You Do It Suet® mold in the fridge or freezer between uses. This way the fat will solidify, harden and be ready for the next batch of fat to be added. 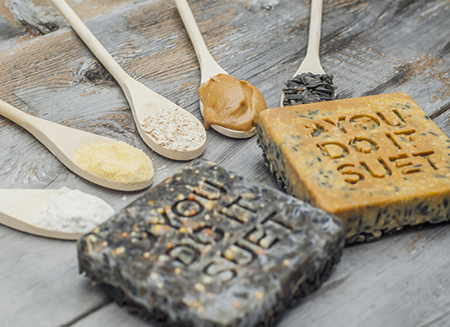 I left my You Do It Suet® mold on my counter with liquid fat for a week and mold grew, why? When you leave meat fat out in the open air, the air molecules can attach to the fat and bacteria can grow. You will want to store your filled You Do It Suet® mold in the fridge or freezer for best results. I have a jar of meat fat, can I use the fat to make a You Do It Suet® cake? Yes! Just scoop out enough to fill your You Do It Suet® mold half way to the fill line, microwave until softened if needed, mix in ingredients of your choice, freeze and then release the suet cake from the You Do It Suet® mold and place in any standard suet cage. Does bacon fat go rancid? Generally speaking it can take a very long time for bacon fat to spoil. Bacteria cannot live in fat. Even if left in a closed container on your counter top. 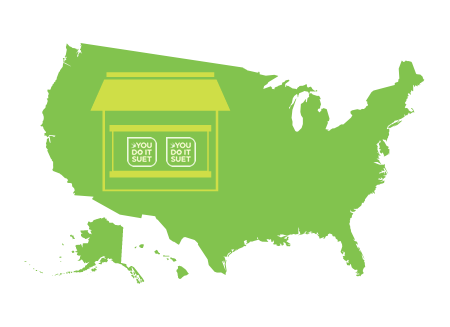 But the best place to keep your stored meat fat is in the You Do It Suet® mold in your freezer. My Suet cake melted after it was placed in a suet cage in my yard, why? First, make sure that your suet cake has been frozen before placing it in a suet cage. If the outside temperatures are above 50 degrees, you should be using the year round suet cake recipe for best results. Fat does have a melting point and if you place it outside when temperatures are above 50 degrees, the suet cake will melt and this is not good for birds and their feathers. Also, placing your suet cage on the North side of a tree will help it last longer as the sun will not shine on it as much. Should I feed the birds suet in the Summer? Birds do not need the extra fat in their diets in the Summer like they do in the Winter. For this reason, we suggest placing sliced oranges in your suet cage during the warmer months. You can still create homemade suet cakes during the Summer, just wrap them in plastic wrap and store them in your freezer until Fall returns and you should have a nice stockpile to get you started. Do I place the filled You Do It Suet® mold in my suet cage? No. You will want to freeze the filled You Do It Suet® mold filled with fat and then release the suet cake from the You Do It Suet® mold and place only the suet cake in your suet cage.